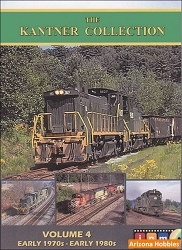 In Volume 4 of Railfanning With the Bednars, we railfan April 1973 to early June 1975 and the arrival of the General Electric U23Bs on the Lehigh Valley. The U23Bs would be the last new locomotives the Valley would receive. Locations include Bethlehem, Allentown, Catasauqua, Hokendauqua, and other points west to Sayre. West of Sayre, we visit Cayuta and Lockwood, NY. 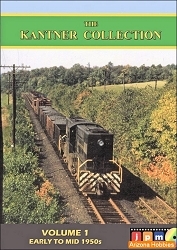 The Bednar gang also makes a visit to western PA to capture the Penn Central at Horse Shoe Curve and other well known railfanning locations on the PC. After returning from western PA, we chase the brand new GE U23Bs from Palmerton to Laurel Run, PA.
We'll also see the Ironton/Lehigh Valley engine swap at the Ironton engine house and the Ironton 751 working Allentown and Bethlehem. John Pechulis Media, 60 minutes run time, Narrated by Mike Bednar; COLOR.